Two-chamber stainless steel color refrigerator with display, touch control and No Frost cooling system. Suitable for office or apartment of large size. 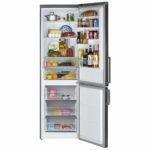 The refrigerator’s energy saving class is A+, there is a two-sided LED backlight and the option to override the doors. No Frost cooling effectively distributes cold air flows through the inner chambers and prevents the formation of condensation and frostbite. Control is electronic with LED indication. The display with a touch panel is used for control. You can adjust the temperature both in the refrigerator (from 2°C to 8°C) and in the freezer compartment (from -16°C to -22°C). 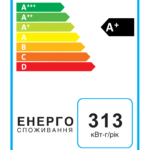 • Eco – an energy-efficient mode where the temperature is set at 5°C for the refrigerator, and -18°C for the freezer compartment. • Vacation – maintaining a temperature of 17°C in an empty chamber and save energy. • Super Frost – quick freezing of products. Automatically switches off after 50 hours of operation. The total capacity is 338 liters, where the capacity of the refrigerating chamber is 243 liters, and the freezer compartment is 95 liters. The interior space will be enough for a lot of fresh products, jar, drinks and freezes. 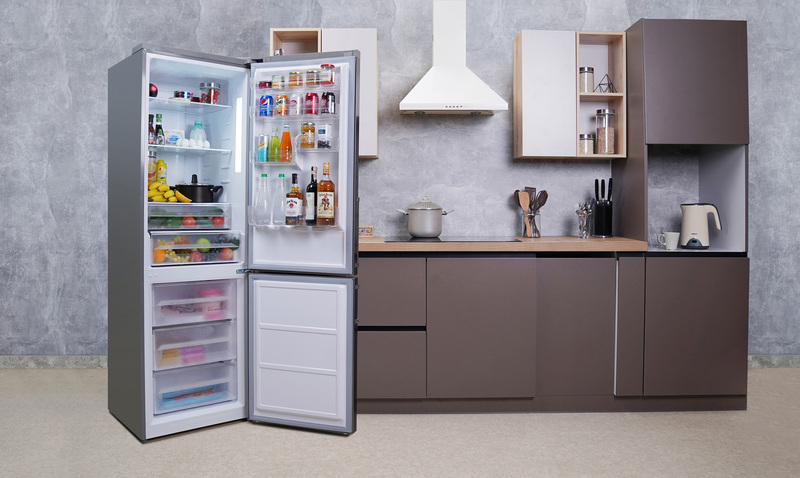 The refrigerator compartment has three main shelves and five shelves on the door, as well as two areas for delicate products. 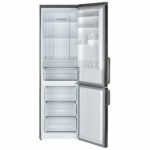 In the freezer there are three compartments with drawers are available. 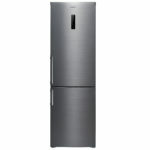 The refrigerator height is 195 cm and the width is 60 cm. The weight is 73 kg. External handles for opening are made of quality polished aluminum. 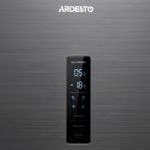 The Ardesto DNF-D338X will look good in a large room, such as a kitchen or living room.